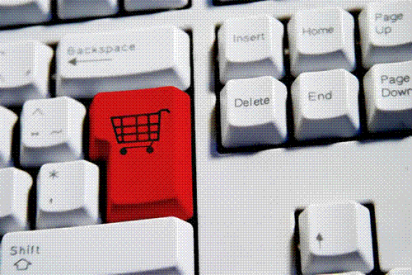 Over the recent years, consumers have been spending billions of dollars at e-Commerce sites. With the growth of online business, e-Commerce has become a very viable venture. Many people even begin an e-Commerce website as their main business. If you have a physical location where you operate your business from, beginning an e-Commerce website can provide an extra sales channel for you. Creating a site for selling coupons, services, or products online, however, involves a lot of research and planning. The following are steps you can take in starting an online business. Establish a business and marketing plan: Set up a meeting with your team members or business partners. Brainstorm together and write out all the plans in one document. The plan should include all startup and recurring expenses. Set up an overall sales forecast and expense budget. Choose a good domain name which will help customers find you: You need to choose a domain name for your website that helps brand your business and accurately represents your services or products. Take time to think of an appropriate URL for your website. Choose the right e-Commerce software: In order to sell products or services on your site, you have several options. You could hire someone to build custom online forefront functionality. However, many small businesses who want to cut costs purchase e-Commerce site hosting software, such as Magento e-Commerce. This enables your customers to choose products from your site, put them in the shopping cart, and then checkout through their preferred payment method. Apply for a merchant account for processing credit cards: It is vital to offer your customers various payment options on your site. Many customers are used to paying for their services and goods online using a credit card. To accept credit card payments, you will need to apply for a merchant account. If you don’t accept credit cards on your site, you are jeopardizing your chances of success. Secure your site to assure customers of safety: As an online merchant, you can’t afford to overlook security. If you will be accepting financial details like credit card payments, it is your responsibility to ensure that data is secure and protected. You should also ensure that you satisfy the security requirements of the credit card company. Build a user-friendly site: Once you have uploaded your products to the site and have set up payment systems, focus on improving your site’s appearance. Make sure that your site can be easily navigated by your customers. If you use Magento, for example, you have lots of free and premium Magento themes to choose from. Test the site: You only have one opportunity to make a first impression. Test and tweak your website before allowing it to go live. Take a few days or weeks on this. Make sure every feature is working properly. You could invite some friends to help you in testing the site. Promote your site online: Promoting your site online can be complex and expensive, but it is important for driving targeted traffic to your website. Online promotion, search engine optimization, and Internet marketing enabled me to drive traffic to my diet blog where I feature Medifast coupons and Nutrisystem discounts. High traffic will eventually result in long term returns on your investment. Author Bio: Charles Mburugu often writes about Internet marketing and e-Commerce. He also blogs about diet plans for weight loss blogs that share Medifast diet discounts and Nutrisystem savings coupons. He is currently writing for a diet blog that offers coupon for $25 off on Medifast weight loss program and coupons and discount deals for Nutrisystem, two popular meal replacement programs.